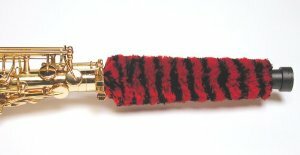 Proven the #1 selling woodwind swab for over 25 years, the Original H.W. Pad-Saver de-moisturizer is the woodwind player's best friend in instrument maintenance. Designed to be left in the instrument while not being played, these swabs draw and dissipate moisture from the bore, toneholes, and pads, extending the life of the pads and saving money on frequent repairs. These swabs are made from a proprietary ultra wicking micro-fiber material that will not shed, shrink, or bleed. This material is formulated to draw moisture from any surface it touches. This device is meant to be used after swabbing to catch the remaining moisture left behind. 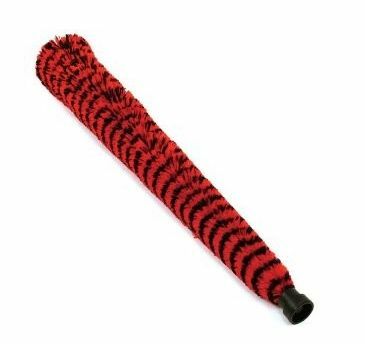 This sax swab/de-moisturizer features a custom molded cap specially designed to protect the octave key mechanism while the instrument is in the case. Since this cap is basically the handle, it is press-fitted so it stays securely attached.